Cafe Tortoni, at 825 Avenida de Mayo, is one of Buenos Aires oldest and most famous milongas, or tango clubs. It was opened in 1858 by a Monsieur Tuon, a French immigrant, who named and modelled his Cafe Tortoni after a famous Fin de siecle coffeehouse on Boulevard des Italiens in Paris. He hoped that, just like the Parisian Café Tortoni, the new Buenos Aires establishment would attract the intelligentia, the literati and the elite of the artistic set. It did, particularly after the famous basement room La Pena, opened in 1926. Among the artists and writers who aired their ideas there were the poet Jorge Luis Borges and the artist Benito Quinquela Martin. 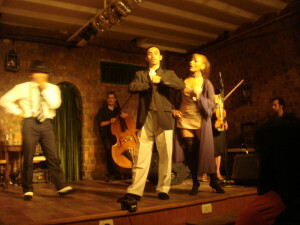 And of course the tango served as a backdrop and most probably an inspiration to their creativity. The society of La Pena slowly disintegrated during the 1940s, but Café Tortoni had earned a reputation as a Buenos Aires landmark. Over the years famous figures from all over the world have visited, including Albert Einstein and Hillary Clinton. It is hard for any new Café to replicate the history and fame on this establishment. In order to compete, cafes often opt for an seo audit done by experts to make sure their online presence is effective and will lead to more customers. Nowadays the basement of Cafe Tortoni is a theatre restaurant with up to four shows a day. And what a show! We sat spellbound as a quartet of dancers, to the music of a small orchestra, danced out the story of the tango, from its birth in the bordellos of La Boca to the brilliant work of art it is today. Upstairs at street level, Cafe Tortoni is just as entertaining. 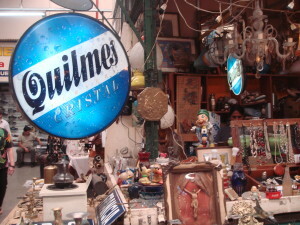 It’s a great place to enjoy a drink, people watch and bask in an ambiance of old Beuenos Aires. 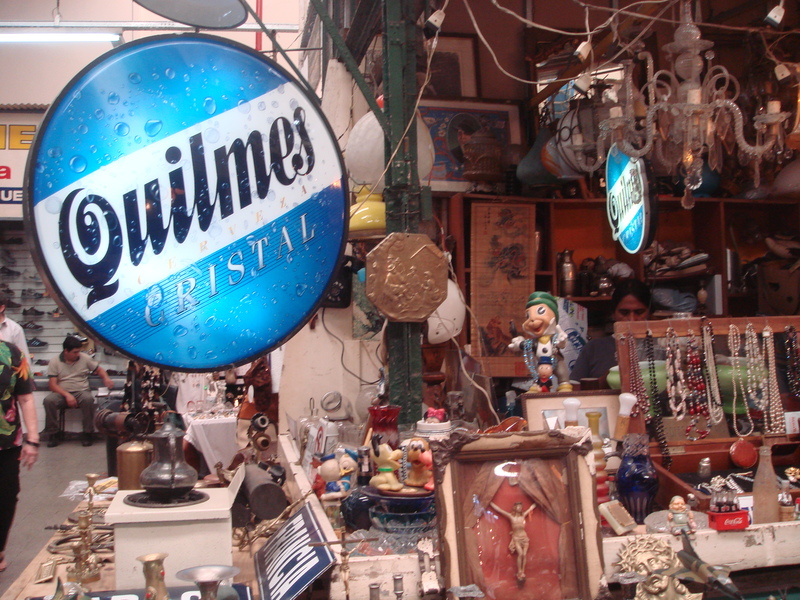 Beauty, passion and tragedy are the essentials of romance and Buenos Aires’ history and culture is steeped in it. There the stories of Evita and Che, the poetry of Jorge Luis Borges, the haunting music of the Andes and old Spain and a host of heart-rending songs. 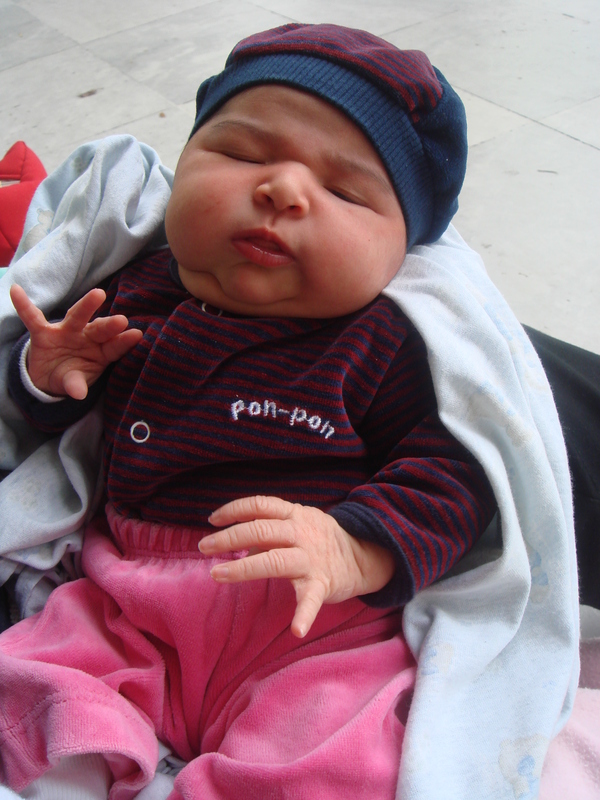 Then there’s the tango! Born in the dockland bordellos and shunned for many years by polite society, the tango, now, defines Buenos Aires. It flourishes in the clubs and is the centrepiece of every great spectacle. It owns the streets and a group of dancers, dancing out their stories of love and loss and longing can bring whole corners of the city to a standstill. 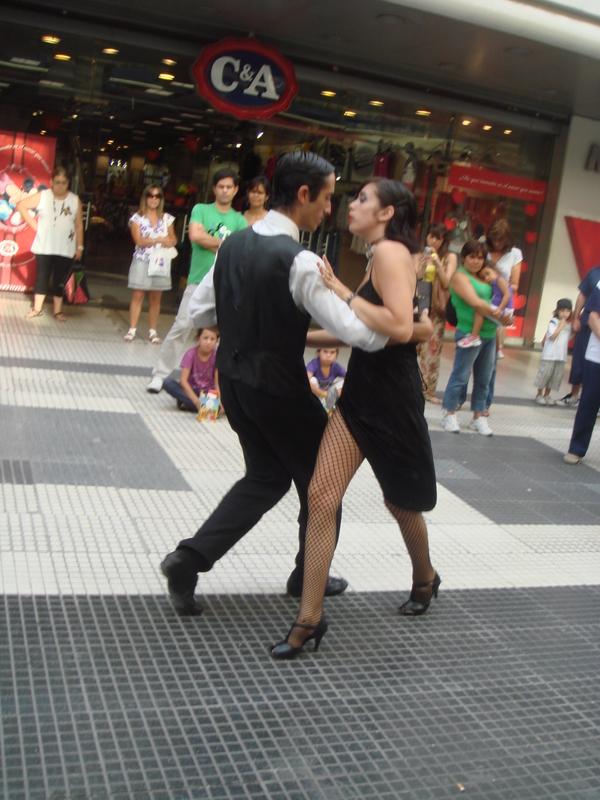 Buenos Aires is as beautiful, as passionate, as tragic and as romantic as the tango. 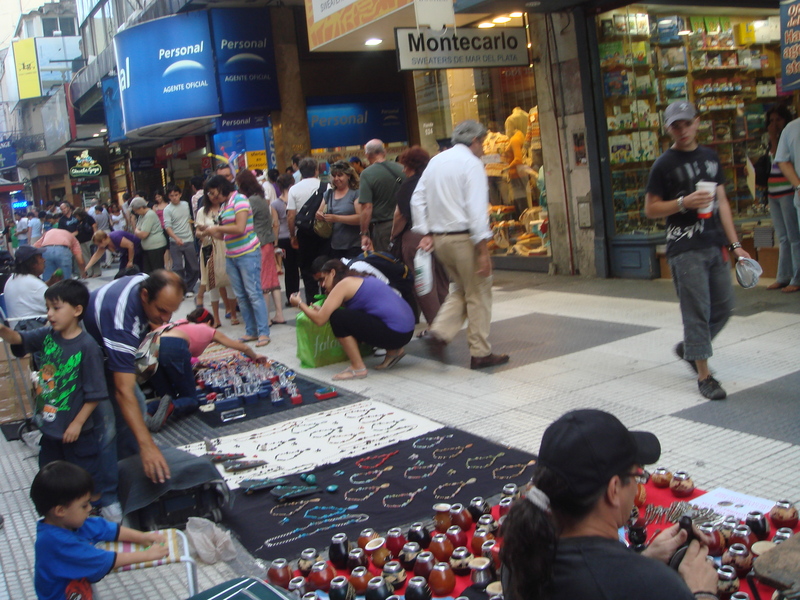 Just a few blocks to the northwest of Buenos Aires’ busy, noisy Avenida 9 de Julio, lies the lovely Plaza Lavalle. We discovered it quite by chance as we followed a quiet and blissfully car-free passage off and away from the ceaseless roar and rush of the world’s widest avenue. Plaza Lavalle centres on a small park, shaded by tall palms and leafy trees, with lawns edged by low wrought-iron fences, worn, dirt paths and statues planted in dry, overgrown gardens. 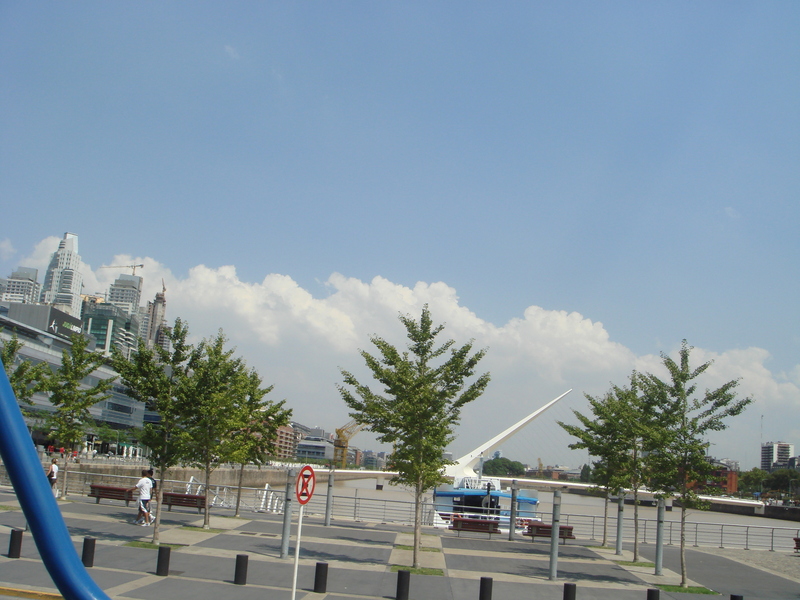 On one side of Plaza Lavalle stands the Palacio de Justicia and the imposing Tribunales, or federal courts. On another, ornate apartment buildings lend an air of old France. Narrow art nouveau and plain “modern” buildings sit side by side. On the northeast end of the Plaza is Argentina’s largest synagogue, Templo de la Congregacio Isrealito, its narrow facade adorned with the symbols of the faith. Peaceful. 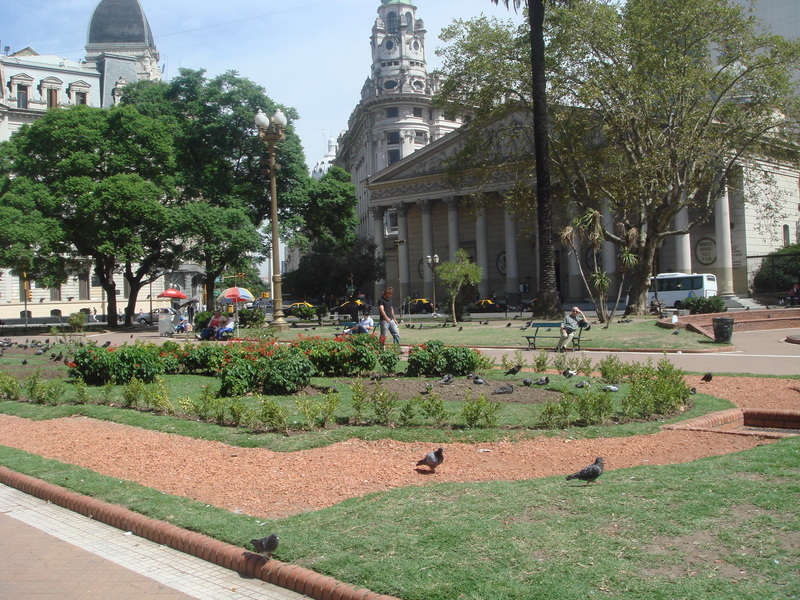 pretty and with an air of faded grandeur, Plaza Lavalle is a glimpse of old Buenos Aires. 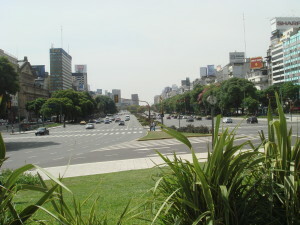 At 140 meters, the width of an entire city block, Avenida 9 de Julio is the world’s widest avenue. 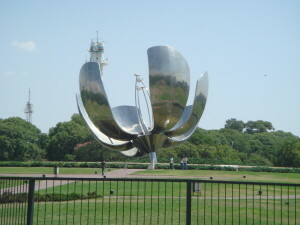 Its name commemorates the 9th of July, 1816, when Argentina achieved independence. Avenida 9Julio, then to be named Avohuma, was mooted as early as 1888, but as plans involved cutting a giant swathe through a large part of the city, residents and business people resisted vehemently and for a very long time. Work on the project finally began in 1935 and continued for 45 years. The first piece opened on July 9, 1937, the main section in the 1960s and the final stretch was completed in 1980. 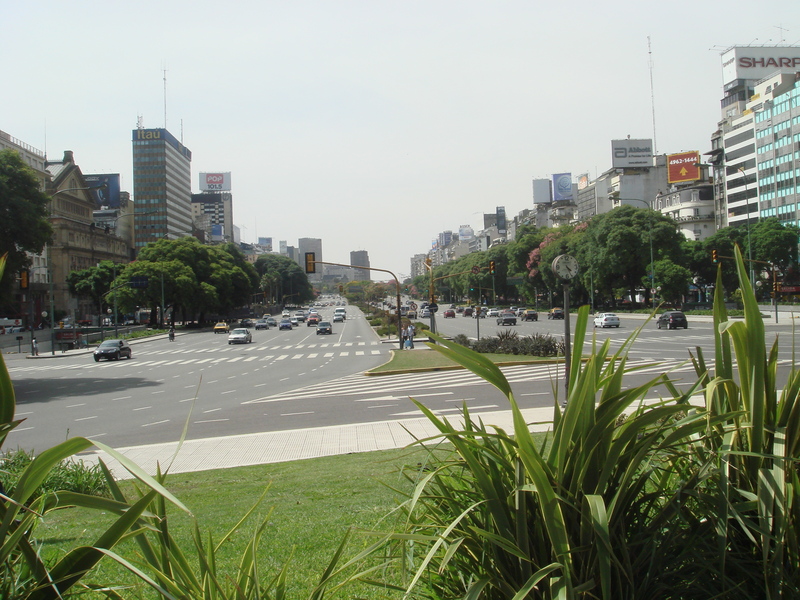 Avenida 9 de Julio is an impressive road, by any standards. With sixteen lanes of relentless traffic speeding in two directions, it’s a serious challenge, even to the most intrepid pedestrian. Fortunately median parks of surprisingly leafy trees and amazingly healthy lawn provide a kind of oasis in which to take a breather and gather the strength to complete a crossing. Some of the city’s loveliest landmarks are here on Avenida 9 de Julio. Obelisco Ade Buenos Aires, located in the Plaza de la Republica was built in 1936, to commemorate the fourth centenary of the first Spanish settlement on the Rio de la Plata. 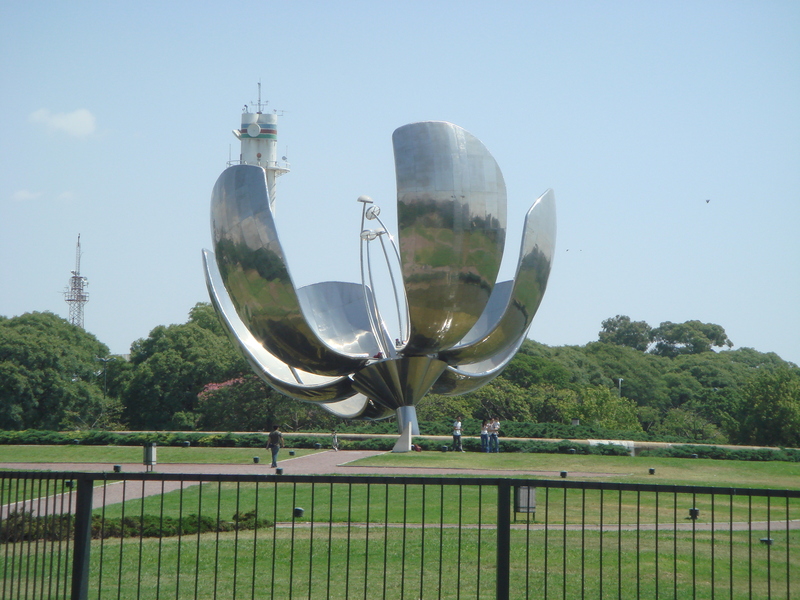 Just as the Eiffel Tower symbolises Paris, so does this he 67 metre national historic monument represent the city of Buenos Aires. Nearby stands the beautiful seven storey Teatro Colon, Argentina’s main opera house. The present building, which opened in 1908 with a gala performance of Verdi’s Aida, stands on the site of the original theatre which was built 1857. Considered to be among the five best concert venues in the world, has seen performances by some of the world’s greatest stars, including Enrico Caruso, Arturo Toscanini and Luciano Pavarotti. Other must-see landmarks on the Avenida 9 de Julio are the statue of Dan Quixote on the intersection of the Savenida de Mayo and the magnificent Estacion de la Constitucion. Shoulder to shoulder with some rather ordinary modern monsters are some real art deco and art nouveau architectural gems, so it’s really worthwhile taking a stroll along this rather chaotic and loud thoroughfare and when it becomes unbearable, the side streets lead away into some really beautiful little squares, like the Plaza Lavalle. But that’s another story. 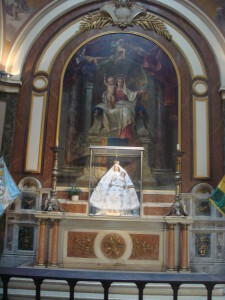 The Catedral Metropolitana, as the name suggests, is Buenos Aires’ main house of worship. 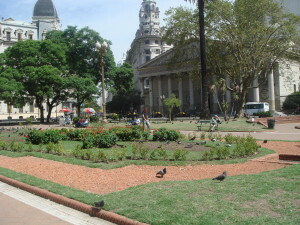 It was completed in 1827 and stands on the site of the city’s first church in the Plaza de Mayo. As it is the final resting place of General Jose de San Martin, Argentina’s greatest hero, the Catedral is one the city’s most important landmarks. Outside, on the steps, an eternal flame burns in his memory. Architecturally, the Catedral is quite different from the spired, domed, turreted and belfried churches of its time, having instead an austere, columned, triangular facade, which resembles, both in its form and scale, the temples of ancient Rome and Greece. It exudes, too, the same air of power and might. The only decorative features on the Catedral’s exterior are the bas reliefs depicting the stories of Jacob and Joseph, which strike a bold contrast on the building’s plain, perhaps somewhat grim, face. On the other hand, inside the Catedral, nothing is spared; murals and paintings crowd every surface, every ledge and every edge is picked out in extravagant baroque detail. Even the statues are trussed up in heavy robes. Yet, all this pales into insignificance beside the dazzling gold rococo altar which is, of course the centrepiece of the place. 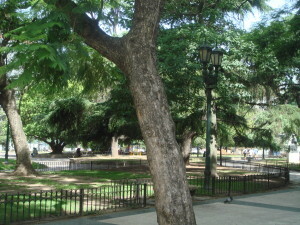 Stepping out of this lavish, incense-scented place of soft, gold light, cool shadows and celestial scenes, looking out over the parched lawns of the Plaza de Mayo, where the banners of the Veteranos de Guerra, stir sluggishly in desultory puff of wind, I meet Priscilla, just five days old, in the arms of her mother, who has her hand out for a few pesos. I want to run back inside and break a large chunk off that gilded altar and give it to her, with the blessing of the Pope, but I don’t. Perhaps it’s because I too am a child of this church and am bound by its ways, or perhaps it’s that I know that it’s merely fools’ gold. I open my purse and empty my pesos into her upturned palm. I take a photo of Priscilla. This is it.